Porcelain mug gift for my Dad. To a deserving Dad. Made from porcelain. Dishwasher and microwave safe. Hand-finished in the UK. 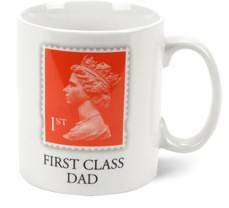 The Stamp Collection is officially licensed by the British Postal Museum Archive.